Seymour Stein's Coming Back To Cincinnati! Seymour Stein & Brian Powers discuss Stein's time with Syd Nathan from King Records and his influence on his work in the record business. 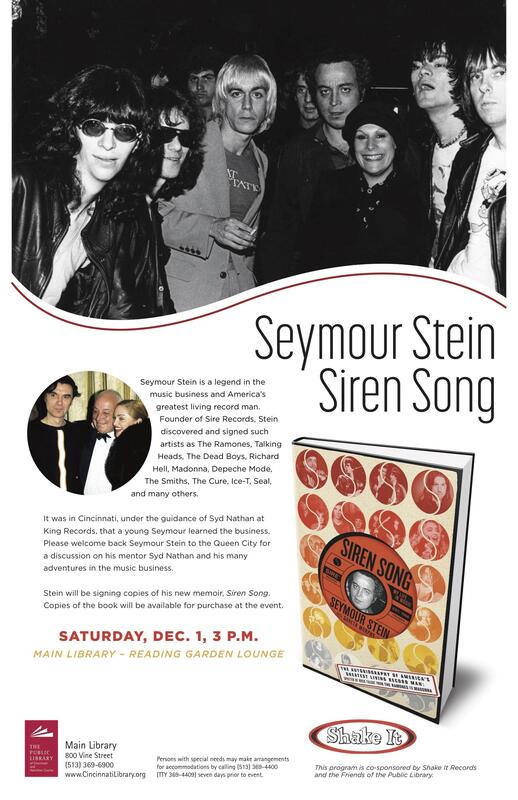 Seymour Stein is coming to Cincinnati Saturday afternoon, December 1st at 3pm to the downtown Public Library for a presentation on his time with Syd Nathan, King Records, and Sire Records which he founded. We were delighted when Stein found some time on November 14th to talk by phone with Brian Powers, King Records historian, about his time with Syd Nathan who became his mentor in the recording industry. There was a discussion about the history of King Records, some of the artists who recorded there, and the importance of King compared to Chess & Sun Records. 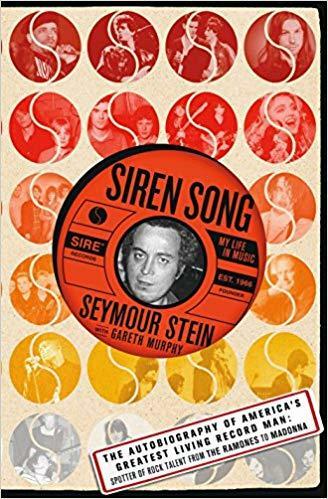 Seymour Stein also shared how Sire Records got its name and that from Syd Nathan he learned that the song was the most important thing - the song comes first - advice he took with him to Sire Records. Stein's new memoir is "Siren Song: My Life in Music," and he'll be signing copies of it at his library visit on December 1st. A tribute to Syd Nathan, founder of Cincinnati’s famed King Records, who was born in Cincinnati on April 27, 1904. Several years in the making, Playhouse in the Park is ready for the stage debut of their original musical production based on Cincinnati's iconic record label, King Records. Around Cincinnati celebrates the 75th Anniversary of Cincinnati's legendary record label King Records during September with two programs looking at James Brown Productions – conversations with and stories from those who worked with the Godfather of Soul during his King Records days. Bull Moose Jackson - A King Records celebration! On Saturday night, September 3rd at 11pm, join me for the first of five one-hour specials on King Records as part of the celebration of King Records in September.